Owl +USB Energy Monitor are simple devices aimed at giving the use a low cost, quick to install and easy to use device to help understand domestic electricity consumption. This 3 Phase Electricity Monitor is perfect on farms, warehouses or any commercial building that uses 3 phase electricity. The monitor shows consumption or cost per hour (or kwh if preferred), and has a CO2 equivalent reading too. Because the monitor is wireless and portable, the user can easily walk around the premises and observe, by switching on and off, how much energy particular devices are using. They can also see the overall consumption by day / week / month and compare periods to see if savings have been made. Simple installation and set up – doesn’t require an electrician. The Owl +USB Energy Monitor is available in singe and three phase. If you already have the single phase version, you can upgrade it to three phase by purchased two extras sensor clamps here. The OWL +USB Electricity Monitor is a completely wireless electricity monitoring solution. It measures your electricity usage and download the data straight to your PC. The software allows you to see your energy usage in power, cost and CO² emissions. 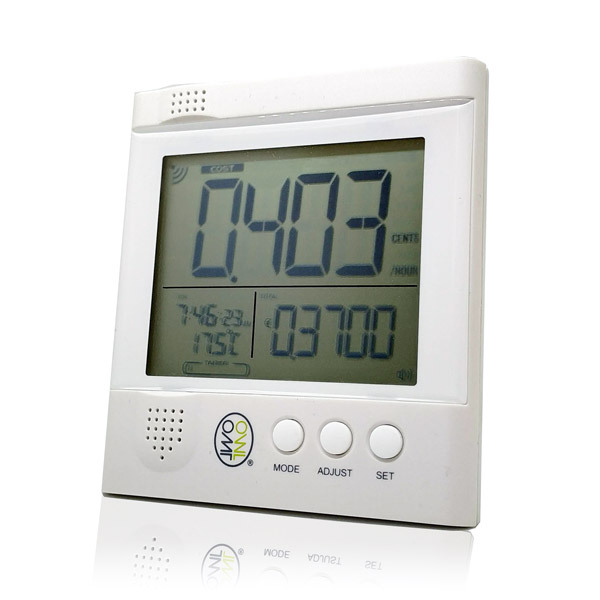 This electricity monitor has a superior memory capability and ultra fast download speeds making it easier for you to monitor energy usage and save money. OWL +USB is the ideal monitor for anyone who wants to be able to see a visible reduction in their consumption and cost of electricity. Appealing to anyone who wants to reduce their household impact on the environment, the use of an OWL+USB electricity monitor is a vital tool in the fight against climate change. Please note: OWL +USB Electricity Monitor is everything you need for a standard single phase domestic installation. For 3-phase installations you will need additional sensors. For cable widths up to 10mm you will need to purchase two additional standard sensors. Allows monitoring of live consumption for the property. Access to historical and average readings for up to 2 years on the monitor via a “History” function. Please discard the software disc supplied in the product pack and download the appropriate language version from the Menu at the right of this page. Windows UAC will prompt you twice for permission to install the software – once at the start and once at the end. This is normal due to device driver installation. The software is under active development and is compatible with most versions of windows – please report any issues to https://theowl.zendesk.com. Legacy software compatible with Windows XP, Windows Vista, Windows 7 and Windows 8. * Personal configurations on your PC may cause issues with installation or running of the application; please ensure you install and run the software as an administrator.